As I referenced earlier, at the tail end of a campaign rollout that's been widely praised as effective and competent, California Senator Kamala Harris has stumbled out of the blocks on policy. And not just on any policy; on healthcare. Harris, eager to burnish her progressive bona fides in order to partially inoculate herself against attacks on her record as a prosecutor, came storming out of the gate as an unapologetic defender of single-payer healthcare. She endorsed Bernie Sanders' bill in mid-2017, in what many saw as an early bit of presidential positioning on a key litmus test issue, then enthusiastically embraced the idea in both her launch speech and her CNN 'town hall' meeting. It was in the latter forum that she uncorked an eyebrow-raising answer when she was pressed, very lightly, by Jake Tapper on the implications of "Medicare for All." By stating she would eliminate private insurers as a necessary part of implementing "Medicare-for-all," California Sen. Kamala Harris during a CNN town hall Monday night sent a shockwave through the national health care debate. Harris' comments underscored the extent to which a move to single payer would radically overhaul the current system and, in frankly addressing one of the transition's most politically difficult steps, stepped directly into her critics' crosshairs...As the furor grew, a Harris adviser on Tuesday signaled that the candidate would also be open to the more moderate health reform plans, which would preserve the industry, being floated by other congressional Democrats. It represents a compromise position that risks angering "Medicare-for-all" proponents, who view eliminating private health insurance as key to enacting their comprehensive reform. (1) Harris has now opened herself up to a clean line of attack from candidates trying to run to her left. They were always going to hammer her on her record on criminal justice issues (see this and this), but she appeared fairly well-positioned to outflank others on nearly every other issue set. Not anymore. Her opponents will charge that on day one of being challenged by the 'corporate interests' and Republicans, she ran away from her own "Medicare for All" bill. Prosecutor Kamala is the real Kamala, they'll say -- not 'Progressive Kamala.' Her very first confrontation with a policy controversy proves that she can't be trusted. You can practically feel the ripple of energy inside the Sanders and Warren campaigns as Team Kamala scrambles to contain the damage here. 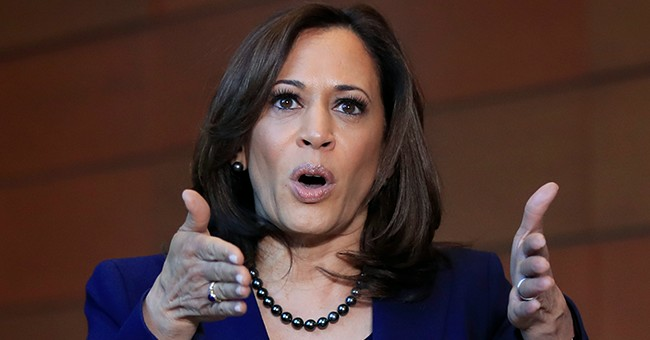 (2) Nearly everyone was in agreement that as a matter of political strategy, and basic blocking and tackling, Harris has outclassed her rivals with a polished and impressive opening foray into the race. She looked like she belonged in the big leagues. But this single-payer setback calls into question her judgment and preparedness on a central issue. It's clear that Harris identified the box she needed to check on healthcare in order to satisfy her base's core activists. It's also increasingly clear that she hadn't carefully contemplated how the checking of said box might work in the real world, and how it might be received by people who aren't left-wing ideologues. As soon as she was tepidly pushed into grappling with the effects of the policy she'd made a show of supporting, she frantically rushed for the exits. For someone who'd looked buttoned up and ready over the course of several days, this flap has made her look wobbly, under-informed, and (mis) calculating on a matter of immense importance. (3) Her partial retreat still won't gain her any fans on the center-right, as she's still claiming that her 'preference' is to stick with her extremist stance, further signaling that she's happy to go along with any form of a government healthcare takeover that may come down the pike. Whether it's a so-called "public option" (which would undercut and undermine private carriers, by design) or an immediate, full-blown imposition of socialist healthcare, the Left wants to dismantle the world's most innovative system -- at great expense to all taxpayers, and in a manner that imperils the arrangements of $177 million Americans, the vast majority of whom are satisfied with their care.